By Costa Maragos Posted: February 16, 2017 6:00 a.m. The research team includes (l-r) Rhonda Stevenson, Dr. Angela Snowshoe, Amanda Scandrett and Dr. JoLee Sasakamoose. Photo by Trevor Hopkin - U of R Photography. 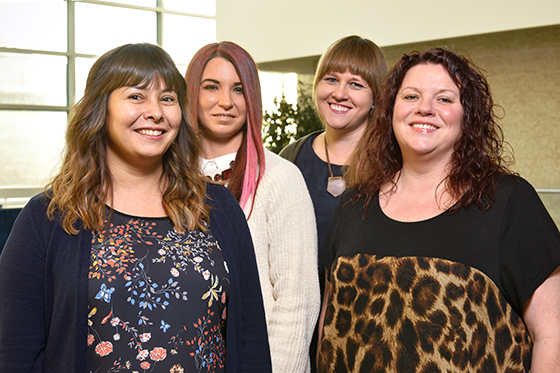 A U of R research team is examining the need for culturally responsive mental health services for First Nations. The project funded by the Saskatchewan Health Research Foundation could help address the severe shortage of mental health counselling and treatment for First Nations people in Saskatchewan. The research is co-led by Drs. Angela Snowshoe and JoLee Sasakamoose, assistant professors in educational psychology. 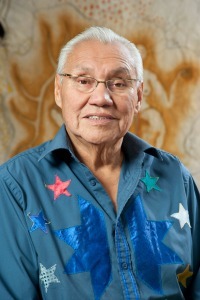 The research is guided by Elder Noel Starblanket from the Star Blanket Cree Nation and knowledge keeper at the U of R and assisted by graduate students Rhonda Stevenson, aboriginal advocate at Balfour High School and Amanda Scandrett, Manager of Paper Crane Community Arts Centre, a community facility that delivers trauma-informed arts programming. The project is titled, “The concept and role of place for First Nations youth mental health” and is in its first phase. Plans are underway to redesign the conventional western counselling space into a culturally responsive setting. “The design of a space for Western therapies often hinders First Nations healing practices,” says Sasakamoose who is from the M’Chigeeng First Nation in Ontario. The research team is building on a growing body of work examining the effects of historical trauma including colonization and forced assimilation that continues to negatively affect health outcomes for Indigenous peoples across Canada from one generation to the next. The research team will challenge this trend by decolonizing the western therapeutic setting and placing First Nations ways of knowing and being at the core of the healing process when training early-career counsellors. “The ultimate goal is to create mental health practitioners that can provide culturally responsive treatment to Indigenous peoples,” says Sasakamoose.